How many times have you been looking or a Word of Excel document and what should be an quick retrieval takes several minutes? Sure, you can always search, but for frequently used documents that’s not the best solution. 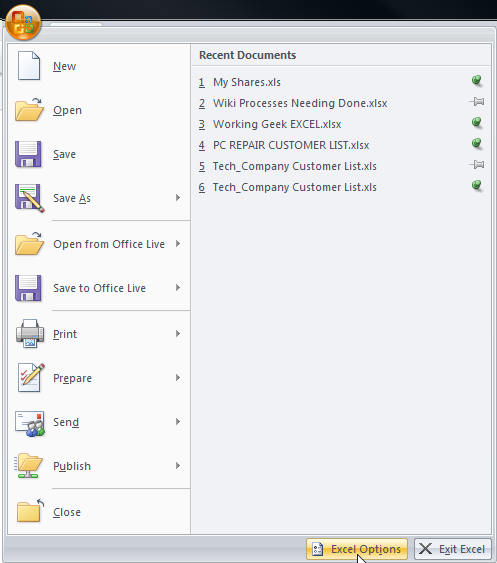 Today we will look at an easy way to keep your most important documents readily available within Office 2007. This trick works with Word, Excel and PowerPoint just the same… there’s a push pin icon next to each item in the recent documents list. First open an important document, it doesn’t matter which one, we just need access to the Office button. 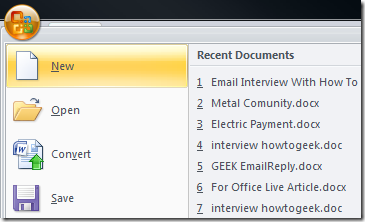 You will notice that every time you open the Office Button there is a list of Recent Documents. A similar version of this feature was also available in 2003 as well. Now with 2007 we can utilize the pushpin icon next to each document. Simply click the pushpin icon to enable it to tack the document on the list. Now these documents will always be there until you unpin them. Another feature of this to look at is the ability to change the number of Recent Documents that appear. To do this click on the Office button and select Program Options. Now click on Advanced and scroll down to the Display section. 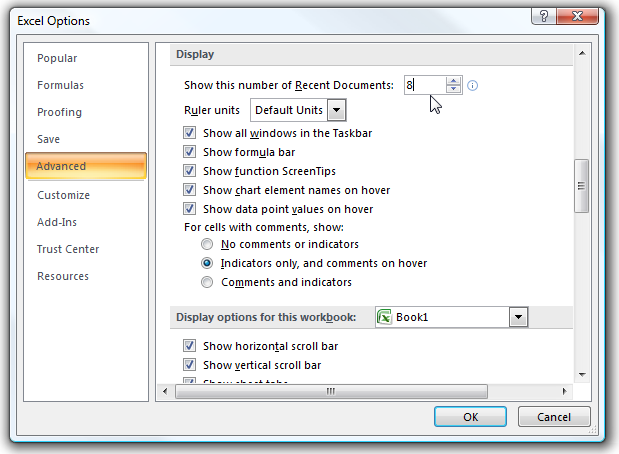 Now increase or decrease the amount of Recent Documents to be shown then hit OK.
Of course if you do not want to show any at all change the value to 0.